Wild caught in the cold deep waters of the North Atlantic. Available in the following sizes: U/10, 10/20, 20/30. 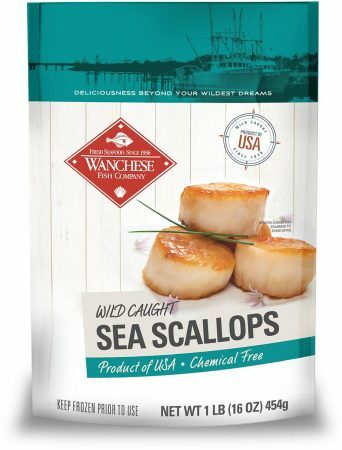 Sea Scallops should be stored in your freezer until you are ready to thaw them for use. Reference the sell by date on the packaging to determine when they need to be used by. SAUTE: Fry scallops in butter or oil. Cook thawed scallops about 3 minutes on each side over medium heat. Cook frozen scallops about 5 minutes on each side.